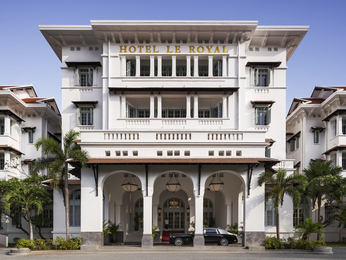 Phnom Penh, the capital and the largest city of Cambodia has been aptly named the' Pearl of Asia'. Visitors will notice that French influence finds its way into the core of Phnom Penh's culture, tradition, architecture and cuisine. Phnom Penh is a popular travel destination for a variety of reasons, playing host to family vacations, romantic getaways and business and leisure trips. Located along the Mekong and Tonle Sap river banks, Phnom Penh invites tourists to indulge in extraordinary views by the side of palm trees and street walks of Riverside. Alternatively, take time to explore the historical Khmer background at The National Museum, or visit the sacred holy temple at Wat Phnom and many other sites of rich cultural significance. 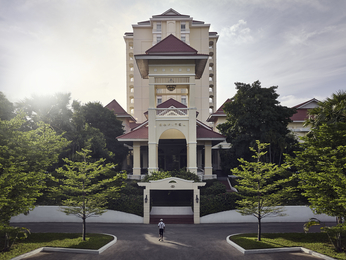 Accor Hotels provides a location set riverside amongst the landscaped gardens, designed in colonial style and suitable for people who are looking for either a beautiful riverside view or to be conveniently located for business in Phnom Penh.